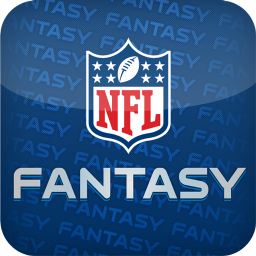 By now, everyone knows that Fantasy Football (hell, Fantasy everything) is an extremely popular recreational activity for footbal buffs and sports junkies everywhere. The rules are simple: You draft and assemble a “make believe” NFL team consisting of real players from across the league whose performance on your fantasy team is based upon their real-life football statistics week-to-week. The better your team’s players perform during their actual NFL games, the better your collective fantasy team does. Very cool; very fun… Part reality; part fantasy. Sort of like real-life isn’t it? Don’t we take real people and their real actions and behaviors, and then assemble them into our own new reality? We pick and choose (“draft”) who we want on our “team,” and then base the success of our team on our people’s performance (their actions and behaviors). If they do well (in our opinion, and from our observations), we are happy. If their performance is not up to our standards, or does not meet our expectations, we get upset. The irony of all this is that we have absolutely no control of the outcome though we try very hard to control our success by playing the odds based on other people’s past performances. Of course yesterday does not always equal tomorrow, but history can and should be a consideration of future performance. The quality and content of our lives is certainly more important than football games, but living in reality rather than in fantasy can be far more challenging at times than we care to admit. If you consistently find yourself making excuses while pursuing “escape mode” with any number of vices, devices and distractions, it may be time to have a heart-to-heart with your “head” coach. Fantasy football is to real football, what Guitar Hero is to a real guitar. Exactly the reason I am not in FF. Great blog! !